Since the last newsletter QUR has celebrated the Change of Command Parade. Several articles are further on within this newsletter. The most important function for the Association in the future is the Annual General Meeting at the United Services Club on 12th September 2008. All members are invited and we guarantee you will enjoy yourself. Instructions for accepting the invitation can be found further in the newsletter. As usual an election for members to be appointed to the Executive Management Committee. If you wish to nominate to assist with the management of QURA I would ask that you contact me so I can assist you to complete the necessary paperwork. This year our guest speakers are Peter Jeffery and Ross Williamson who will talk about their Army experiences overseas. I look forward to meeting you at the 2008 AGM on 12 September at the United Service Club. I would ask you all to contact members and encourage them to attend. In August, three captains from QUR joined with numerous other Captains and Warrant Officers from the other University Regiments for a curriculum review board. The week of intense scrutiny of the curriculum for the First Appointment Course occurred with many changes to the course implemented. In short, there will be less new learning between the residential training and better flow of lessons with the emphasis on navigation, individual / team field skills, understanding conventional tactics and exposure to stability operations. These changes will ensure that graduates will be better prepared to lead, ethically manage and command troops in a complex and ambiguous environment. Immediate changes will be made to Training Block Two conducted by Adelaide University Regiment with the inclusion of more weapon systems such as claymore, GLA and grenades. 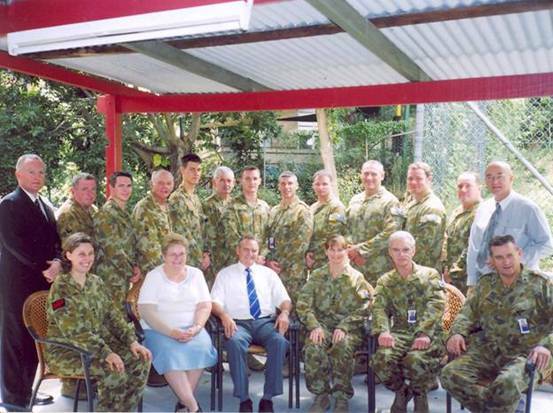 Some minor changes will be made to Residential Block Four conducted by Melbourne University Regiment in October, but most changes will be effective from January 2009. It is with sadness, that I advise that the Graduation Parade will no longer occur at Duntroon. 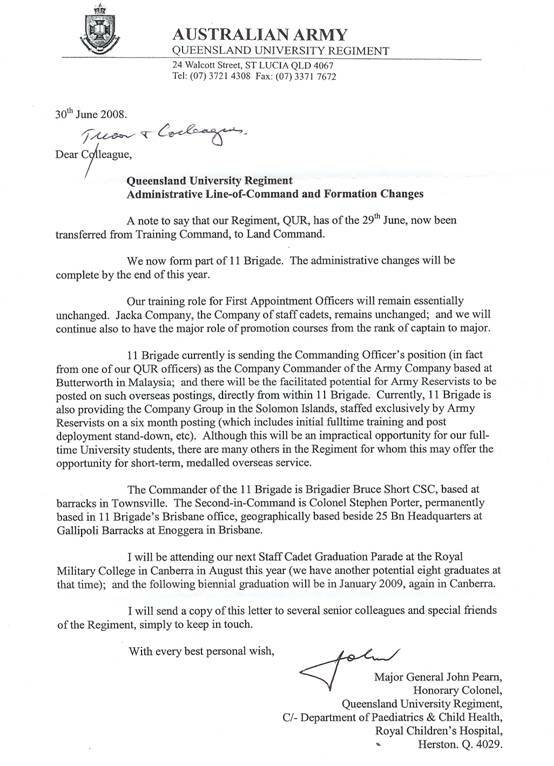 Queensland University Regiment will conduct a graduation parade for those who graduate next year onwards. It is a shame to lose that opportunity to march on the RMC Parade Ground with the aura and memories that it brings. However, on a very pleasing note, I am proud to announce our five newest graduates – LT David Hornigold (RASIGS), LT Ben Gyetvay (RAE), LT Carrie Miner (RASIGS), LT Steven Moye (RAINF), and LT Gordon Dunlop (RAAMC). I was extremely proud that QUR for the first time in eight years that all attendees graduated and QUR was only one of a few URs who did not lose any SCDT in the 28 days training. Finally, my sincerest congratulations go to LT Ben Gyetvay, who was awarded the Peter Stuckey Leadership Award for outstanding leadership during the module. I’m sure LT Tyson Brock who graduated in February with the same award will be pleased to see QUR graduates take out this prize over successive courses. Finally, my successor has been named, and LTCOL Tim O’Brien will assume command on 1 March 2009. In the meantime, I continue look forward to continuing to progress the numerous challenges as QUR takes on the Regional Training Battalion role, and getting the next cohort of SCDT to the various residential training blocks throughout Australia. 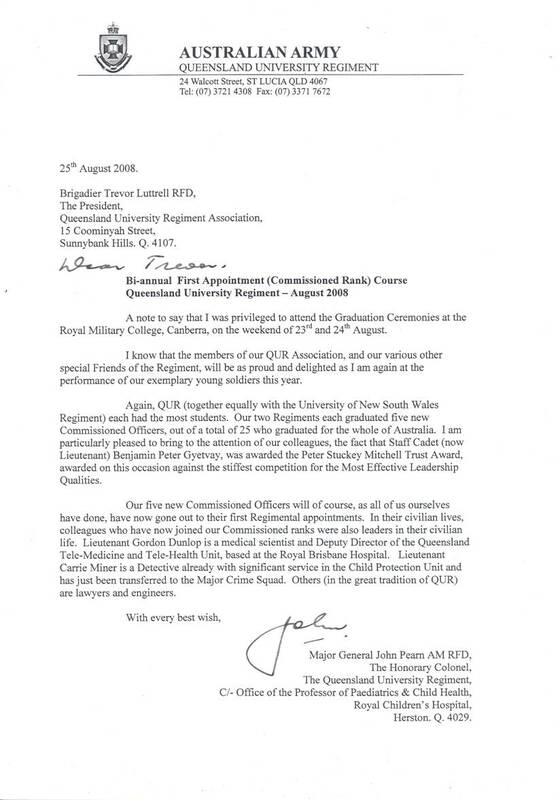 This is a short note to thank the association for sponsoring the “Most Improved Staff Cadet” award for February 2008. As the recipient of that award I was honoured to have my efforts recognized by the staff. I feel that QURA is an important part of the University Regiment and I hope to continue the good work that it does by nominating to become a member. I am currently posted to 8/7 RVR in Shepparton as my partner has been posted to the School of Artillery at Puckapunyl. I look to return to Brisbane in 2011 which I hope to become a more active memberif accepted to the association. Many thanks for the fantastic book prize. I look forward to hearing from you in the future. Unfortunately I will be hosting a dining-in for my current unit, LWC (SQ), on the same night, so I will be unable to attend. Could you please convey my apologies to the AGM and dinner attendees. I will have the great privilege of taking over as the unit CO next year, so I look forward to meeting you and the Association executive in the near future. Fifty-one years ago, Herman James, a North Carolina mountain man, was drafted by the Army. On his first day in basic training, the Army issued him a comb. That afternoon the Army barber sheared off all his hair. 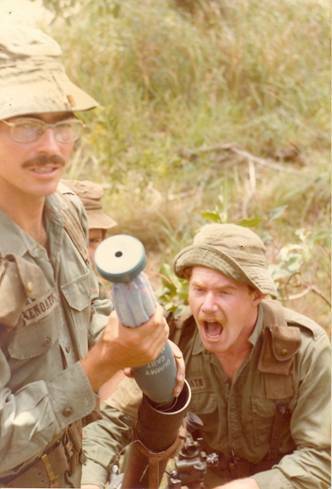 On his second day, the Army issued Herman a toothbrush. 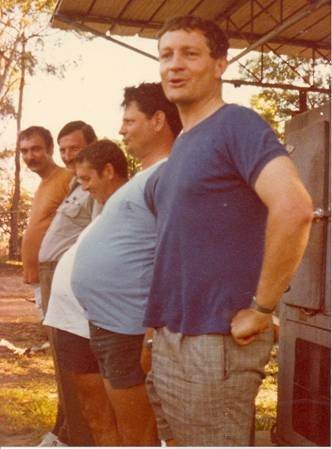 That afternoon the Army dentist yanked seven of his teeth. On the third day, the Army issued him a jock strap. 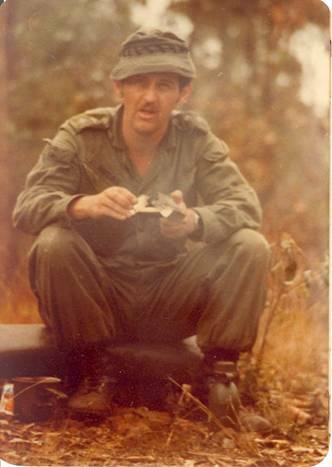 Peter Mackay here, mortar platoon sergeant, as was back in the day. Ruth Kassulke rang me last week, and I’ve been inspired to look up the site, where I’ve spent many happy hours reading through the newsletters. But so many haven’t. I have been saddened to read, on browsing through the newsletters on the QURA website, that a few haven’t made it to old age. My old Griffith University comrade Shane Slipais, for one. 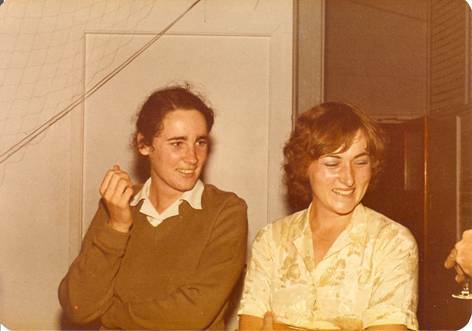 Another recent passing is of someone very close to my heart, my sister-in-law, Robyn Barter, who, as Robyn Kilmister (later Bickford), was one of the first women to join the Regiment, back in 1976. She died after a long and courageous struggle against cancer in March this year. She was a cheerful face behind the Q-Store counter for many years, before joining the Regular Army. She later married a naval officer, performing superbly as a navy wife in postings in England and the USA, at ease with people from all levels of society as her husband’s career progressed through to his current rank of Commodore. She leaves behind two adult children and a large network of friends. I think she managed to keep in regular contact with just about everyone she ever met, including many old members of the Regiment. I married Robyn’s sister Kerri, who was also a member of QUR during the 80s. She later joined the navy as a medical officer, finishing as a Lieutenant-Commander when our own two children neared school age, rather than inflict a continuous series of interstate and international postings on them, and as a result they have kept the same companions from pre-school through to university. Sometimes I wonder where the years went. Here I am, father of two adult children, nearly twenty-five years of marriage, within a month of turning fifty, and yet my memories of those QUR days are fresh and bright. And green. If I have a shirt pocket with a button, I button it. When the lights change, I step off on the left foot. But my old GP boots have long lost their shine, and are mainly used as protection when I mow the lawn. 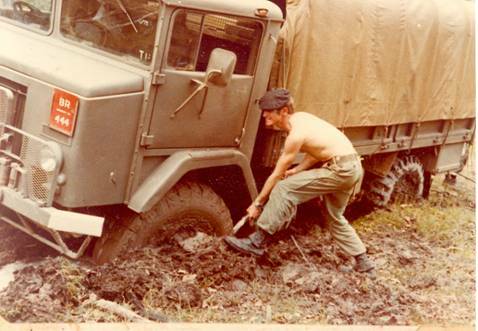 I’ve done a lot of things since I left the Regiment in 1983. 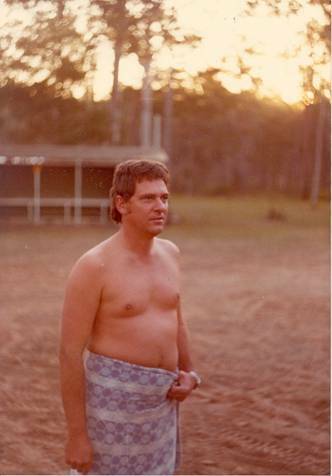 Transferred to Canberra as a computer programmer in 1986, where I ran into Fran Long (now Holbert), who was doing something on the shady side of Defence. Reading a lot of Chinese newspapers was how she described her job, but I am sure that low-cut dresses, seedy Shanghai bars and demure revolvers featured heavily. 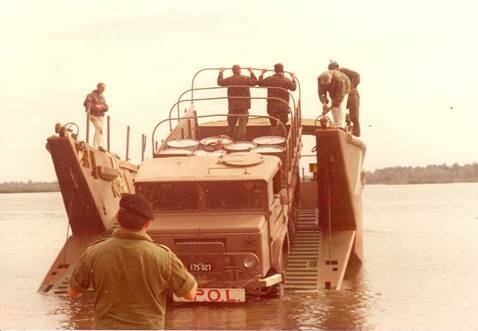 Ran into Peter and Dodie Collett when my wife joined the navy and we transferred down to HMAS Cerberus. Dodie was another of the original QUR women, and when she married fellow member Peter, it may have been the first of many marriages founded in the Regiment. Pete was a gunnery officer, and very proud of it. After returning to Canberra, I took a swing at several careers, including computer hacker, second-hand book dealer, political journalist and travel writer. Nowadays I’m a taxidriver on the night shift, writing murder mysteries between passengers, and spending my holidays flying around the world. On one memorable trip last year, I visited Hiroshima, Omaha Beach and Pearl Harbour. I see David Grimshaw now and again. He works for Customs down here, and looks every inch the perfect WO2, carved out of unyielding granite. I’ll bet he makes his privates tremble. 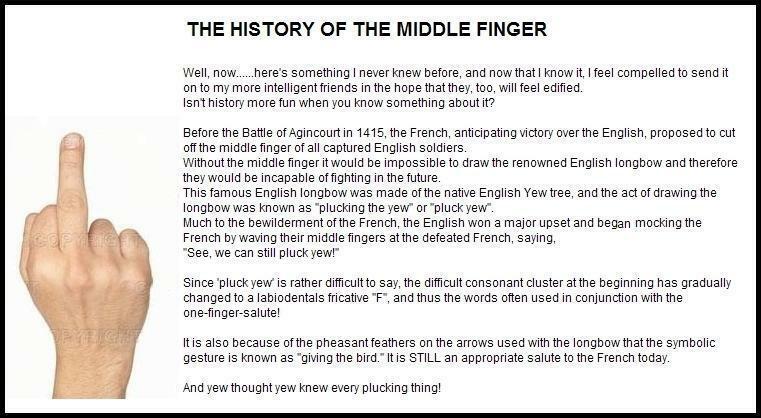 One of the many things which occupies my copious spare time is Wikipedia, the online encyclopaedia which anyone may edit. I’ve started an article on Queensland University Regiment, but it needs the input of people with more recent experience than mine. Editing Wikipedia is really easy – just click on the “edit” link and start writing. And finally, thanks for putting the newsletters up online. I have enjoyed reading them, especially the reports of trips to various battlefields. The Kokoda Track expedition must have been gruelling, and it sounds like just surviving was feat enough, let alone hauling weapons and ammunition as well, fighting the odd battle along the way. I live near the Australian War Memorial, and one of my annual rituals is attending the Dawn Service there, at which attendance swells each year. It is the younger folk who make the numbers now, and it is heartwarming to know that the familiar stories of sacrifice and courage, determination and mateship, are finding willing listeners. Our nation and our world may be changing, but our deep values remain the same. Mateship is what I remember most about QUR. 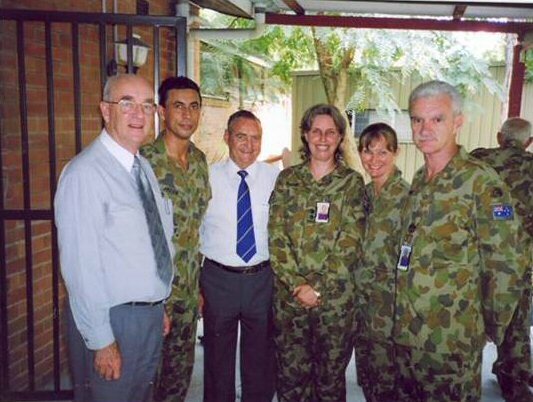 Sure, it was fun to learn how to read maps, run around the scrub with a rifle, jump out of helicopters and so on, but it was the people that were important, and my fondest memories are of time spent in the company of some truly remarkable Australians. I am making an enquiry regarding my father George Brown who was a member of the University Regiment Association and is shown on the Honour Roll on the QUR Association website. Dad died in 2001. In the weekend newspaper there was a notice from the Department of Defence stating that there are two medals that have recently been issued, one of which is The Australian Defence Medal that recognises service in the Reserve forces for a minimum of four years after 1945. Dad was demobilized at the end of WW11 and, if my memory serves me correctly, he spent some time as a member of the Queensland University Regiment in the 1950s. Are there records showing who has served in the QUR, and if so the duration of their service? If Dad is eligible, I would like to apply for the medal and add it to his service medals for posterity. As far as information held by QUR, all of the records were lost in the 1974 floods. 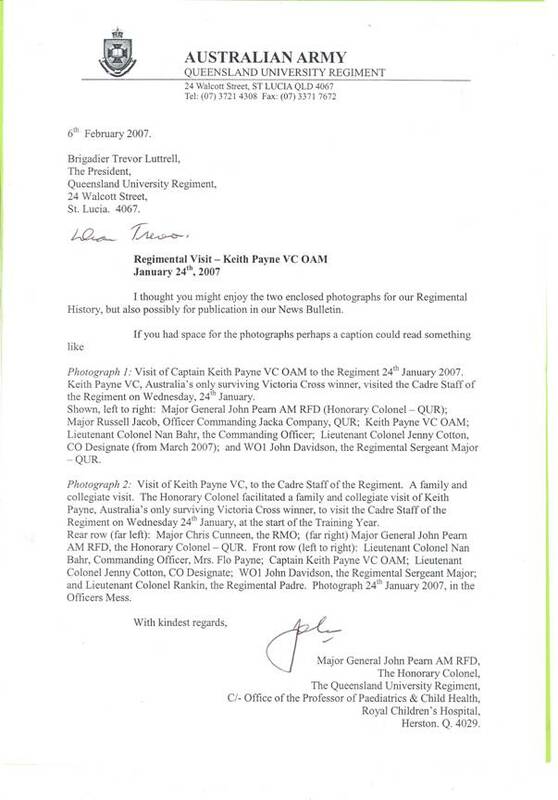 The best way to access the records would be to contact Central Army Records Office (CARO) in Melbourne. With your permission I will place your letter on our website to see if any members can provide any information. Information about the medal is available on the Commonwealth Government website under “Honours and Awards” The application form can be downloaded along with the instructions….. but you will need to get an extract of service from CARO. Thank you for contacting us. We like to keep in contact with ex members and their families. interested when I spoke to him at the dinner. I will provide a transcript of most of the oral presentation. However, I shall 'elaborate' on some perspectives on the United Nations. Such comments are better left unprinted. So attendees at the dinner get a ... 'bonus'! 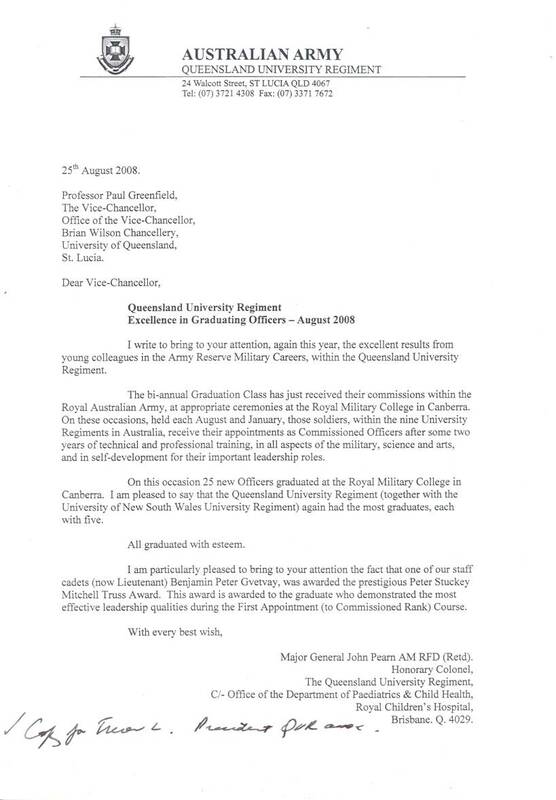 Included here is a letter and photo from Qld Uni Sqn expressing interest in installing a stone plaque in the walls of Uni of Qld. They are wondering if QURA would also like to install a plaque at the same time. QURA members attending the AGM in 2007 would be familiar with the concept. Members at the time thought the cost would be more than QURA can afford. This correspondence is published in order to give members time to consider before discussion of the concept again at the AGM. 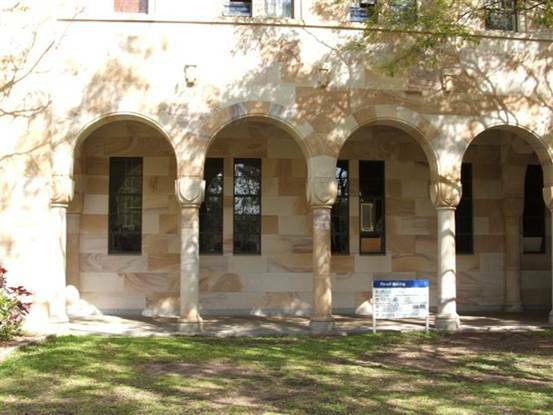 You will recall that at the “Queensland University Squadron” reunion on 16 March 2005, there was a view shared by many, that the Reunion Committee should explore with the University some permanent record of the operation of the squadron at the University from 1951 to 1973. The Committee could not proceed immediately as it was considered we should first be established formally as an incorporated body. As you know this has now been achieved. I would now be most grateful if I could receive from you some preliminary advice on an idea which has general support in our committee. Briefly it is for the “Queensland University Squadron” badge to be carved on to a blank shield facing out to the Great Court. Although this is at a very early stage in our planning there are two blanks side by side in front of the Parnell Building. I mention two blanks as if this idea appeals you may also wish to include the University Regiment. The thought is that the project be part of the centenary celebrations and we would arrange for a parade of past members of the squadron and high level RAAF personnel. The original Squadron badge is held in the University Archive. For your convenience I have arranged for Alan Coulter to provide you with a photograph. You will note that apart from the name the association with the University is clear from the central cross and the open book. Copyright restrictions apply to all RAAF logos (including all base and unit badges) as they are protected nationally and internationally by the Defence Act, Trade Marks, and the Chester Herald. I have therefore written to the Deputy Head of Air Force to seek preliminary advice on what action is required to obtain permission to use the Squadron badge. Although I recognize that it is not possible for you to provide an approval for this idea at this stage it would be most helpful if you could provide sufficient support to enable the Committee to advance the project. In particular we would like some advice on the information the University would require as part of a formal proposal. I am of course very happy to discuss the matter with you. 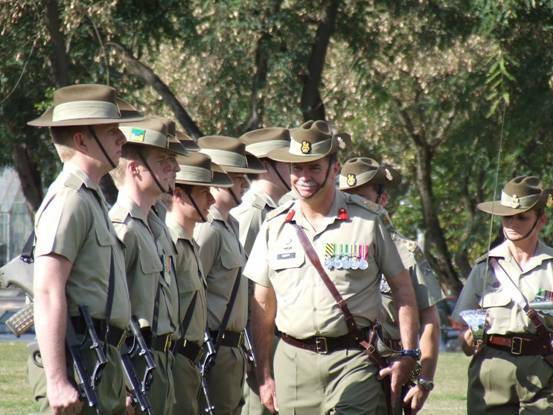 The new Commander reviewed his troops and welcomed a new Regiment under his charge at the Command Handover Parade for the Queensland University Regiment (QUR). The parade, well attended by family, friends and ex members of the Regiment, was held on the oval opposite the St. Lucia Depot. Brigadier Bruce Scott said he was delighted to have a Regiment with such a long and proud history in military training join Queensland’s own 11 Brigade. “This Regiment has a tradition of excellence, duty and honour in the promotion of learning, leadership and integrity,” he said. Brigadier Scott said there were challenges ahead in the transition of QUR back to a Land Command unit. “The impact of this decision means that Reserve Brigades will become truly regional and able to generate individual and collective capabilities to support the greater army,” he said. Commanding Officer of QUR Lieutenant Colonel Jenny Cotton said while the changes were significant the traditional role of training Staff Cadets would continue. “As part of a national approach to Army Reserve training the Regiment will now deliver military training courses for officers and soldiers from around Australia,” Lieutenant Colonel Cotton said. The transition to the units changed role will begin from July 1st with its new capability established by January 1st 2009. 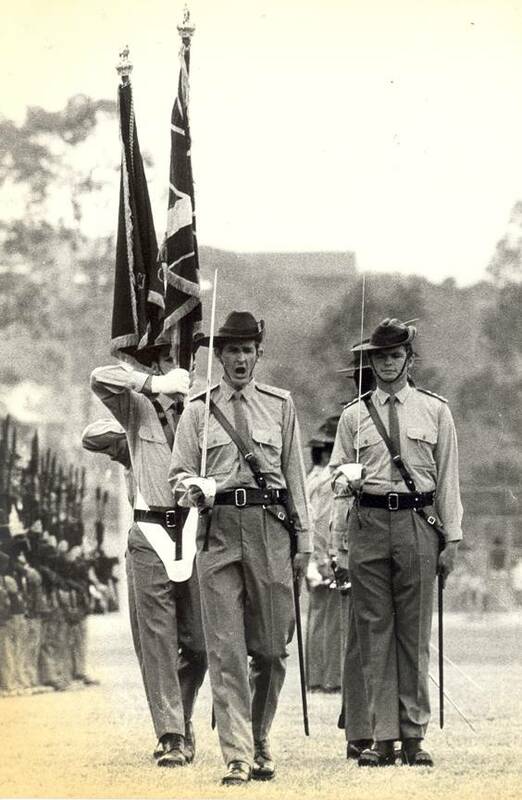 BRIG Bruce Scott flanked by QUR CO LTCOL Jenny Cotton inspect the troops at the Queensland University Regiments Change of Command Parade (Photo by LT Bill Heck). Before you judge a man, walk a mile in his shoes. After that, who cares He’s a mile away you’ve got his shoes. Avoid fruit and nuts – you are what you eat. Apparently three out of four people makeup 75 percent of the population. Anyone who uses the phrase, "easy as taking candy from a baby" has never tried taking candy from a baby. An atheists group is a ‘non prophet’ organization. Being broadminded means you’re just too lazy to form an a opinion. Why is it that bills travel through the mail twice the speed of cheques. Why does the sun lighten our hair, but darken our skin. Time is a great teacher, but unfortunately it kills all the pupils. Why don’t you see the headline, "Psychic Wins Lottery"? Was Cinderella thrown off the basketball because she ran away from the ball? Children today are tyrants. They contradict their parents, gobble their food, and tyrannise their teachers. Why do doctors call what they do a "practice"? A man who keeps both feet firmly on ground will have trouble putting on pants. Confucius say, man who sits on upturned tack, rise above all. Would a banker lose his job if he lost "interest" in his work? Would a teacher lose his job if he didn’t have any "class"? Why is lemon juice made with artificial flavor, while dishwashing liquid is made with "real" lemons. Confucius say, man who jump through screen door, strain self. To err is human, And stupid. Body builder – One who is fit for nothing. It is no longer a question of staying healthy. It’s a question of finding a sickness you like. Exercise I bunk. If you are healthy, you don’t need it; if you are sick, you should not take it. I been on a diet for two weeks and all I have lost is two weeks. All marriages are happy. It is the living together afterwards that causes all the trouble. Who remembers these 2 jokers? 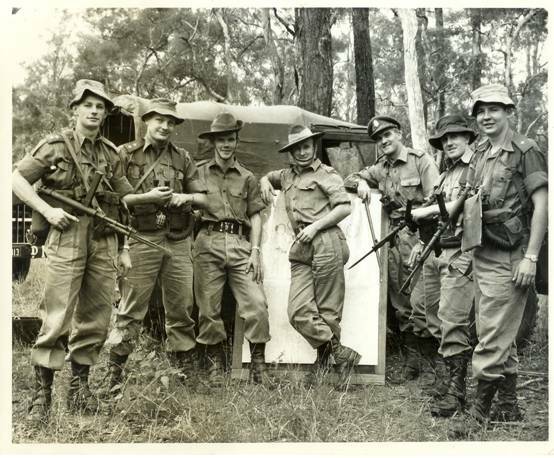 Left to Right:- Garry Whelan, Ian Bunce, Ernie Dunwoody, Unknown ARA Cpl, Ken Gaulton, Ian Kortlang and Allan Rose.